Fall is my favourite time of year. Chilly walks with the dogs while admiring the leaves, pumpkins and cornstalks decorating the front porch, warming up with a mug of tea or coffee, and of course, sweater weather. We’re not quite there yet, but it is fast approaching. How can you tell? WalMart is full of Back-To-School supplies, people are starting to talk about pumpkin spiced drinks and donuts at Tim Horton’s and the fall fairs are starting up! 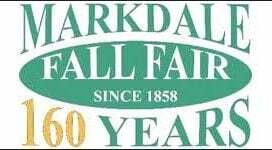 My family loves the tradition of a good fall fair, so you can bet we’ll be in attendance at at least one of these local fairs. Hope to see you there! It’s Fall Fair Time Again in Grey Highlands!